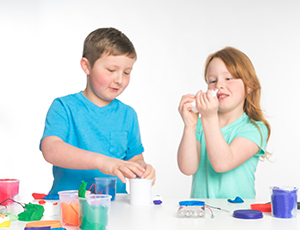 Squishy Circuits uses conductive and insulating play dough to teach the basics of electrical circuits in a fun, hands-on way. 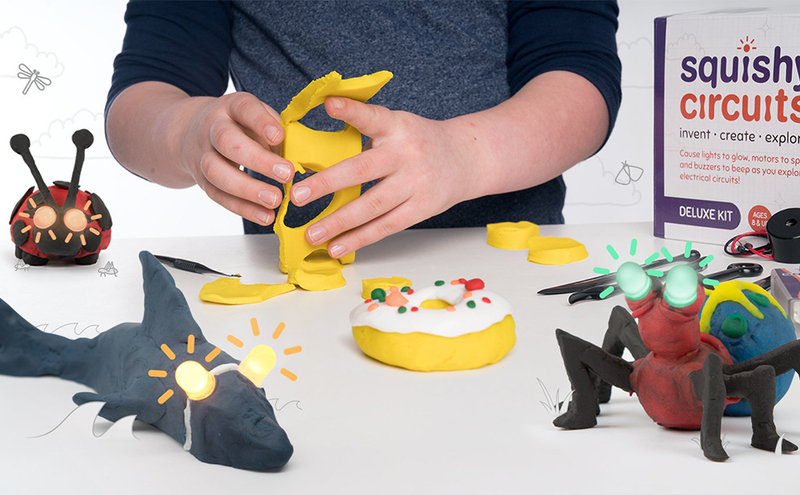 Let your creations come to life as you light them up with LEDs, make noises with buzzers, and spin with the motor. Squishy Circuits is very simple and is based on two play doughs - one that is conductive (electricity flows through it) and one that is insulative (does not allow electricity to flow through it). Most play doughs work as conductive doughs and most modeling clays work as insulators. Also, recipes for the doughs are provided, and are made with common household ingredients. 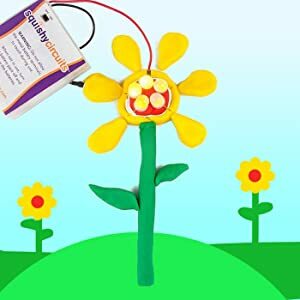 Power is supplied by a 4-AA battery pack and travels through the conductive dough to provide power to LEDs(Light Emitting Diodes), buzzers, or motors. 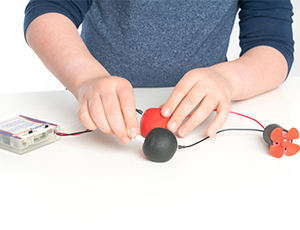 The possibilities are endless with Squishy Circuits! Create your own world and let your imagination soar as you light up LEDs, spin the fan with the motor, and make noises with the buzzers. Get started by downloading our iOS/Android apps that walk through circuit basics and have example projects. The apps also let you share your Squishy Circuits creations with our online community! Who is Squishy Circuits for? Everyone! 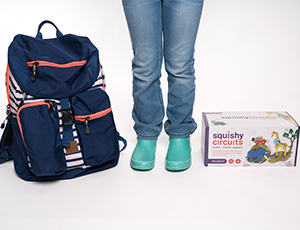 Squishy Circuits has been used in classrooms, homes, libraries, and museums in all 50 states and over 30 countries. The stories and experiences we have heard are incredible, ranging from science fair exhibits to nursing home activities. 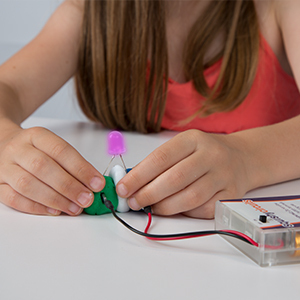 Squishy Circuits is truly for all ages - we have led events with 3 year old students who easily grasp the basics with just a little individual attention and workshops with adults. Our kits are exceed toy safety regulations for ages 8 and up. 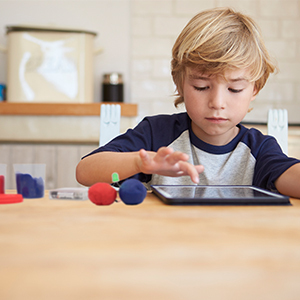 Smaller hands will need help from an adult because the terminals on the LEDs can be pointed. Where is Squishy Circuits Being Used?